Laredo Federal Criminal Defense Attorney - Oberheiden, P.C. Want the Most Experienced for Your Federal Case in Laredo? Comfort through experience. Call Nick today, including on weekends, at 866-Hire-Nick for a personal and free consultation. If you are a subject or target of a federal case or have questions about an investigation, you cannot hesitate and you cannot experiment. Once you are on the government’s radar, you need an experienced advocate who knows how to advise clients effectively and how to protect someone’s interests in a federal case. Laredo federal criminal defense attorney Dr. Nick Oberheiden can help you in the following situations. Nick has avoided criminal charges for hundreds of federal clients including doctors of all specialties (e.g. pain management, surgeons, psychiatrists, family doctors, internal medicine doctors, cardiologists, podiatrists, rheumatologists, dentists etc. ), lawyers, business owners, CEOs, corporate board members, entrepreneurs, and many more. Call 866-Hire-Nick to speak to Nick directly or to make an appointment to meet him for a confidential and free case assessment. How to Choose a Federal Criminal Defense Lawyer in Laredo, Texas? Criminal lawyers in Laredo exist like sand at the beach. Of all the many choices, how do you know who is the right one for your case? Let’s start easy: would you pick a dentist for spine surgery. Probably not. The fact that a dentist advertises for spine surgery doesn’t change much. A dentist remains a dentist. The same is true for federal lawyers. Negotiating complex cases with the FBI, protecting clients’ assets and freedom in U.S. Attorney’s cases is not a hobby. It’s a full commitment—or you risk not getting the case history, experience, and skill-set that often make the difference in fine-line cases. What Percentage of Your Practice Is Dedicated to Federal Criminal Defense? What Are the Outcomes in Your Last 100 Federal Criminal Cases? If I Hire Your Firm, Who Will Handle My Case? At the end of the day it comes down to: Performance. Ask yourself: Is this the lawyer that federal prosecutors will respect and fear? Hire an aggressive, experienced Laredo Federal Criminal Defense Lawyer. 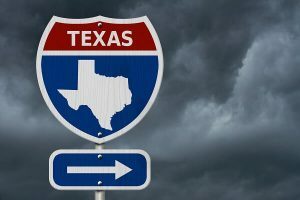 What Mistakes Should I Avoid When I Am Under Federal Investigation in Laredo, Texas? Don’t Underestimate. Believe it or not. Many people underestimate the potentially devastating power of a federal investigation. Although signs of government activity exist, agents are trying to interview people, or business affiliates got contacted by the FBI—they nonetheless hesitate and wait instead of discussing a defense strategy with competent counsel. While you wait, the government will continue and may expand its investigation. The only right thing to do is to secure legal advice from the very first moment you have reason to believe that a case may be pending or coming. Don’t Talk to Agents. The temptation is big, but don’t do it. There is absolutely no benefit but a huge downside to speaking to law enforcement. Even if you feel you have nothing to hide, don’t do it. Let an experienced Federal Criminal Defense Attorney first find out for you why you are in the middle of a federal criminal investigation (yes, you are, otherwise the agents wouldn’t want to see you). After defining the scope and purpose of the interview request, any federal lawyer will almost always deny the interview. If your lawyer instructs you to meet with the FBI and you don’t know what the meeting is about and you have not spent at least 20 hours preparing for the meeting, then you should consider checking your lawyer’s federal credentials. Just go on the Department of Justice website and see for yourself how many people end up imprisoned because they spoke to the government unprepared. Under 18 U.S.C. 1001, anything you share with federal law enforcement has to be complete and truthful. You can’t pick and choose, you can’t hide information, you can’t lie, you can’t withhold or misrepresent—or you will catch a felony conviction for false statement to a federal officer. Think about it. The problem: many lawyers that don’t practice federal law don’t even know the danger of this statute. Don’t Experiment. After all, the penalties and the risks of choosing the wrong (or no) defense strategy in federal cases should alert you to pick an attorney with proven and demonstrated experience. Don’t become your clueless lawyer’s test case. Federal court is not juvenile court and any mistake you make (on your own or based on the advice of inexperienced attorneys) can cost your freedom. 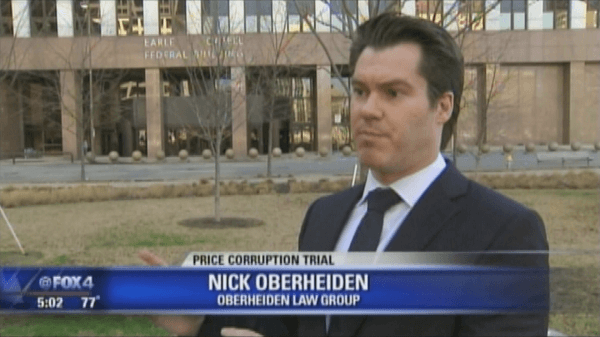 Admitted in all federal courts in Texas, Dr. Nick Oberheiden limits his practice to federal law. If you would like to speak with Nick, a proven Laredo Federal Criminal Defense Lawyer, or meet him, then don’t wait. Call him directly on his mobile phone, including on weekends, at 866-Hire-Nick. All consultations are free and 100% confidential. Additionally other types of Criminal Defense representation are offered by The Law Office of Oberheiden, P.C..